Welcome to Maine Unschooling Network, a secular community of whole-life learners, autodidacts and radical unschoolers of all ages, questioning and living free of institutional education. Welcome to Maine Unschooling Network, a secular blog serving Maine Unschoolers. 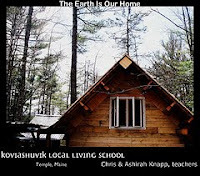 This blog serves several purposes: to give the Maine Unschooling Network's Facebook group a web home, to provide a place for community and calendar of events, to provide support and discussion, and to provide a platform to those who would like to share their perspectives on unschooling in Maine, who may not otherwise do so in a public forum. This is not an Unschooling 101 group. 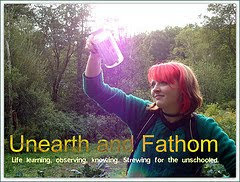 New to unschooling folks are welcome, but the work of understanding and embracing unschooling is an individual's responsibility, and not that of the group. This blog is welcoming and supportive of unschoolers of all ages, small children, teens, parents, grown unschoolers, parents of grown unschoolers, newbie unschoolers, family, unschooling allies--please consider contributing your writing, photography, art, etc, to this blog. Key words: whole life learning, autodidact, radical unschooling, child-led learning, self-directed learning. Connection parenting, attachment parenting, interconnected parenting, peaceful parenting, respectful parenting. Unschooling Is Not "Child-Led Learning"
Why is Olympus Mons so big? Help me, Obi-Mom Kenobi! You're my only hope! Maine Unschooling Network, Amy Bradstreet, 2010-2013. Awesome Inc. theme. Powered by Blogger.